As the filing deadline approaches, the workload of many taxpayers suddenly increases due to the requirement to complete the self-assessment tax return. Some taxpayers have this financial process down to a fine art while many others struggle. Collating receipts, gathering invoices, balancing the books and working on your final accounts can be incredibly time-consuming and resource intensive. But rather than spending hours at a time preparing your accounts, why not let us take care of the entire process? It’s convenient, affordable and will save you many hours of work. 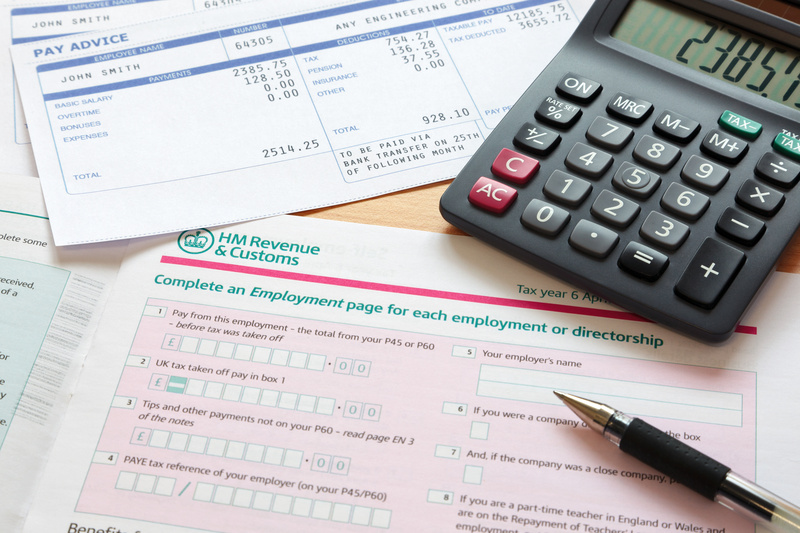 Self Assessment is the way in which you notify HMRC of your earnings if your tax affairs are any more complex than simple employment under PAYE. Typically sole traders and small business owners are affected as well as those with investments. You need to keep thorough and accurate records of your finances which need to be provided to HMRC each year when you submit your tax return. It is important that you are aware of the deadlines for submitting your returns as there are penalties for late payments. As self-assessment tax can be very complicated, it can pay many times over to have a professional accountant take care of the process for you. We will work with you throughout the entire process regardless of the complexity of your tax affairs. Your return will be prepared by an experienced and skilled tax professional. We work extremely hard to deliver a quality service to our clients while keeping our fees affordable. We understand that costs are important, particularly for individuals and small businesses. Our fees are extremely competitive and based on each client's requirements and the complexity of the tax. We offer fixed fees for most clients, but if your circumstances and requirements are more complex we also offer hourly fees. Please contact us and we can work out an attractive quote to suit your business. Paying tax is one of those things we all dislike, but it has to be done. If you find that you are experiencing financial difficulties and a tax bill will make things worse, then we can work with HMRC to negotiate suitable payment strategies or advise on other options to settle your tax bill. We much prefer to work proactively with clients to make sure that they don’t end up in this situation. Our self-assessment service is as comprehensive as you would expect from a leading accountancy firm. At the initial consultation, we will get to know you and your business, including how you approach your financial record keeping and methods of accounting. In the meeting, we will determine your sources of income and how your business functions so that we can obtain a broad picture of how your business finances are managed. You will be provided with the opportunity to ask us questions and discuss our fees. You are then under no obligation to appoint us as your tax agent. If you decide to work with us you will need to provide us with some key pieces of information to calculate and submit your self-assessment tax return. It is entirely up to you whether you send this to us electronically by email, or through the post. We will need full details of your finances over the course of the tax year, along with supporting documents. These will be reviewed, your tax return completed and returned to you for review. If you approve then we will submit the final return to the HMRC. That’s it until the next tax year! We are a leading provider of accountancy services and we offer practical tips to help you legitimately minimise your tax liability. We will thoroughly review your finances to ensure that you are claiming all of the allowances and reliefs that you are entitled to and ensure that your tax return is accurate.